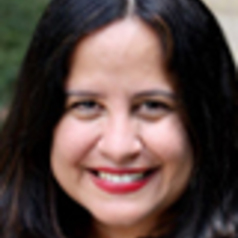 Jossianna Arroyo-Martínez is Professor of Latin American and Caribbean Literatures and Cultures in the Department of Spanish and Portuguese and the Warfield Center for African and African American Studies. She received her PhD from the University of California at Berkeley (1998) and taught at the University of Michigan from 1998-2004. She arrived at UT Austin in 2004. She has received grants from the Ford Foundation, the University of Puerto Rico and the Mellon Foundation. Her research interests center on Latin American and Caribbean literatures and cultures, Luso-Brazilian literatures and cultures (1800s to present), the relationships between literature, ethnographic and sociological discourses in Latin America,Afro-Diasporic literatures and cultures, and critical discourses ofrace, gender and sexuality in colonial and postcolonial societies. Author of "Travestismos culturales: literatura y etnografia en Cuba y Brasil"(Pittsburg, Iberoamericana, 2003); she is currently finishine a book manuscript entitled "Writing Secrecy in Caribbean Freemasonry (Palgrave Mc Millan, 2013) which explores the links between turn of the centrury Caribbean Masonic thought, culture and politics. Also, she is developing a new research project on "virtual Caribbean bodies" which explores the relationship between racialized bodies, media technologies and globalization in contemporary Caribbean societies.